Oxazepam Overdose is the accidental or intentional intake of the drug in dosage higher than prescribed values. What are the Causes of Oxazepam Overdose? What are the Signs and Symptoms of Oxazepam Overdose? The signs and symptoms of Oxazepam Overdose can vary from one individual to another. It may be mild in some and severe in others. Several systems of the body may be affected. How is First Aid administered for Oxazepam Overdose? Who should administer First Aid for Oxazepam Overdose? 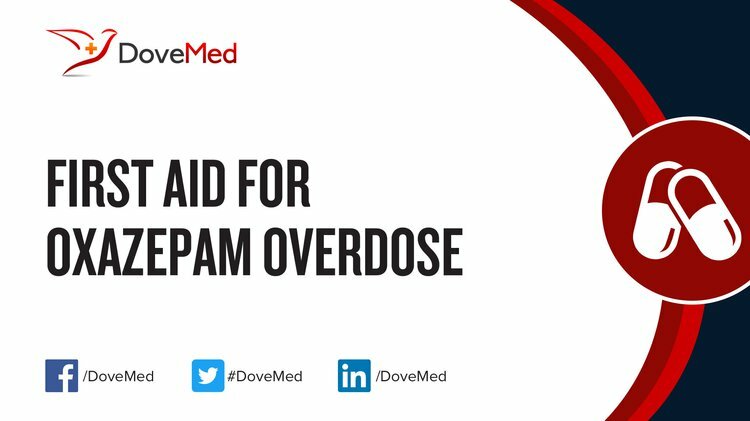 First aid for Oxazepam Overdose is administered by healthcare professionals. What is the Prognosis of Oxazepam Overdose? How can Oxazepam Overdose be Prevented? Sacre, L., Ali, S. M., Villa, A., Jouffroy, R., Raphalen, J. H., Garnier, R., & Baud, F. J. (2017, May). Toxicodynetics in nordiazepam and oxazepam overdoses. In Annales Pharmaceutiques Francaises (Vol. 75, No. 3, pp. 163-171). Elsevier Masson. Jann, M., Kennedy, W. K., & Lopez, G. (2014). Benzodiazepines a major component in unintentional prescription drug overdoses with opioid analgesics. Journal of pharmacy practice, 27(1), 5-16. Vorce, S. P., Levine, B., McDonough, P. C., & Past, M. R. (2010). An overdose death involving the insufflation of extended-release oxymorphone tablets. Journal of analytical toxicology, 34(8), 521-526. Page, C. B., Calver, L. A., & Isbister, G. K. (2010). Risperidone overdose causes extrapyramidal effects but not cardiac toxicity. Journal of clinical psychopharmacology, 30(4), 387-390. Mermet, C. (2016). Alimemazine/oxazepam/venlafaxine overdose. Reactions, 1606, 17-18. Lagas, J. S. (2011). Dipyridamole/oxazepam/temazepam overdose. Reactions, 1356, 18. Fisher, J. (2013). Carbamazepine/fluoxetine/oxazepam/quetiapine/sodium valproate overdose. Reactions, 1454, 1. Selden, T. (2012). Buprenorphine/hypnosedatives/opioid analgesics overdose. Reactions, 1418, 8.